With the simplicity of one touch design all of your sterilization and drying needs are fulfilled. 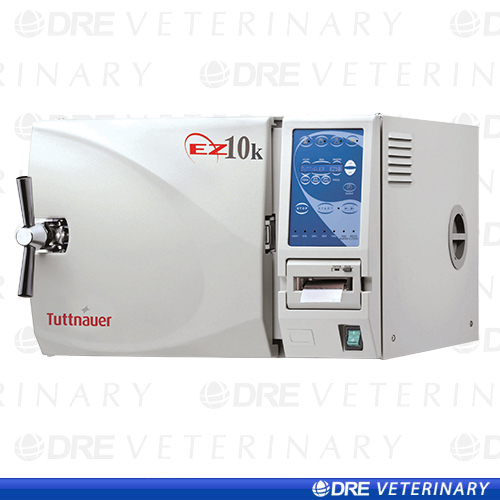 The Tuttnauer fully automatic autoclaves fill, sterilize, exhaust and dries at the touch of a button. All EZ models feature a closed door active drying system to maintain sterility and ensure efficient drying of packs and pouches. The EZ series is also available in a quick cycle model, the Kwiklave (EZ10k) . This sterilizer offers all the proven, dependable features of our fully automatic autoclaves with the added benefit of reducing the total sterilization cycle time by 50%. Speed and reliability are accomplished without sacrificing load size. Kwiklave is the perfect choice for quick instrument turn-around or a high volume office.